Video games have been around for a while, but they're relatively new compared to other cultural creations. It's not surprising, then, that many aspects of the field still aren't figured out yet. But worry not: experts and enthusiasts are making progress by expressing their opinions and developing video game theory in books, on blogs, YouTube, etc. One question that has sparked quite a bit of debate is what defines a video game. Since many modern digital games don't conform to the definition of a traditional game, some people don't think they're video games at all. When does a video game stop being a game? What does it become instead? Why do people care? Is Gone Home a game? The discussion on what makes a game existed before Gone Home, but this video game definitely heated things up. Gone Home, a game by the Fullbright Company, has received many awards, including Polygon's 2013 Game of the Year as well as PC Game and Indie Game of the Year at the 2013 VGAs. In fact, because of its lack of game qualities, many people don't consider Gone Home to be a game. Some even used Steam's user-driven classification system to label the game as “not a game”. These reactions pushed Steve Gaynor, lead designer of Gone Home, to speak up on the subject during GDC 2014. While not your typical video game, Gone Home is still designed, programmed, distributed, and operated - in other words, built - the same way other video games are. However, the goals and challenges in the game don't line up with the traditional concepts of conflict and winning that have become almost inseparable from video games. 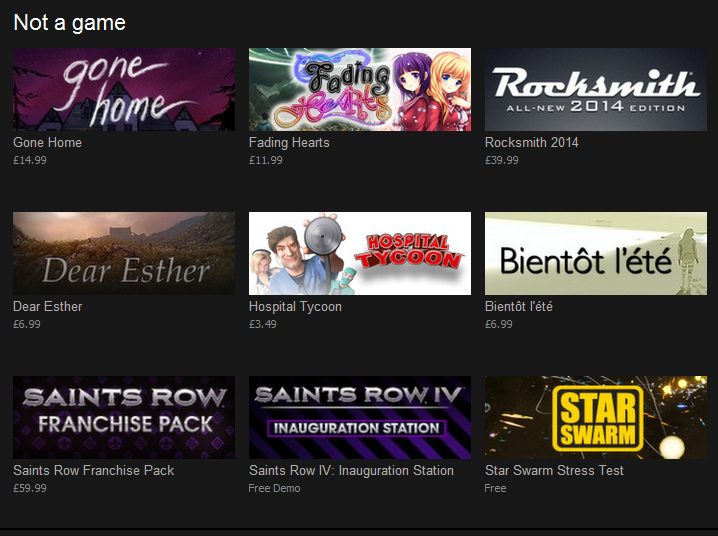 Does this mean Gone Home isn't a game? What is it, then? I'd argue that all these interactive experiences we call video games are part of the same form, and that it is their end - their purpose or use - that differs. Other art forms don't restrict themselves to a single end and can serve multiple purposes. For example, let's look at cinematography. A film maker can choose to create an entertaining Hollywood movie, a grim and depressing drama series, an informative documentary on any range of subjects, a promotional advertisement, etc. Cinematography can be used to achieve different ends, and people know this and set their expectations accordingly. For example, you don't watch a nature show with the same expectations you'd have if you were watching the new Bond movie in theaters. These two experiences are quite different, yet they're both made of moving pictures displayed on a screen - accompanied by sound, of course, which wasn't the case in the past. Art forms evolve! Just like other mediums, video games can serve many different ends, some of which can seem to forsake the meaning of “game” in its name. I think this is the point that bothers a lot of people. Personally, I think there's a vocabulary problem with video games and even with the term video game itself. I'm not really opposed to the use of the word video to describe the form. Other than a few exceptions, graphics are the primary means by which video games convey information to the player. It's the game description that I find most problematic. Many rich, diverse experiences are crafted with the same building blocks as video games (sharing the same form as video games), but their purposes are not the same as that of traditional games (overcoming challenges while following certain rules in an attempt to win). Because of their divergent uses or purposes, these experiences aren't considered as video games by some, yet they are constructed from the same elements. 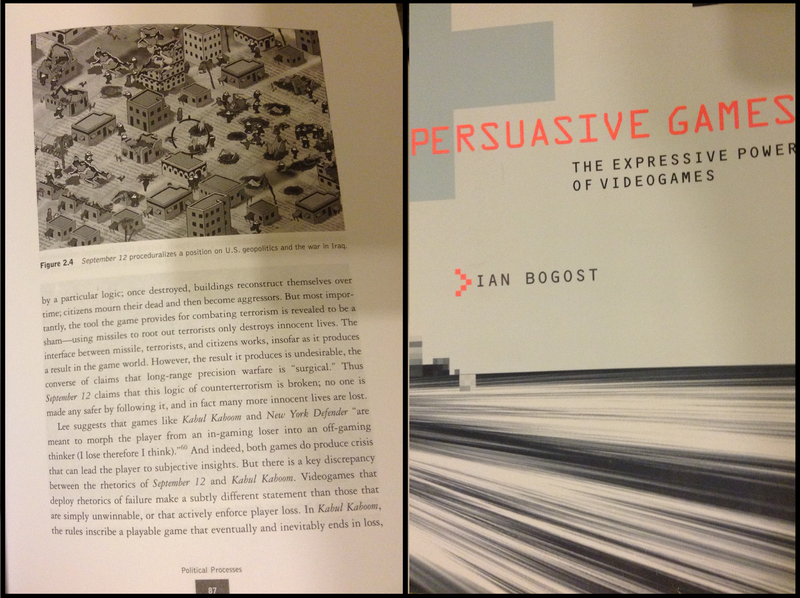 Most books I've read on modern game studies deal with fundamental concepts of video games, such as rules, systems, interaction, and player agency, most of which are at play in video games labelled as non-games. Lots of great video game thinkers examine all types of video games, even praising or learning from “non-games” like Gone Home, Passage, and September 12. So, given that all video games share the same form, does the term video game itself hold up? I don't find. Now more than ever, we need terms to describe video games that aren't necessarily games since they are becoming more and more common. What other term(s) could be used? Interactive experiences seems fitting. Interactive media? Who knows. Another problem with the game description is that it creates expectations. It's easy to see how this can lead to disappointment for people expecting a traditional game experience. Vander Caballero, the designer behind the amazing Papo y Yo, suggests the use of the term empathy game for games focused on understanding or expressing the human condition. He explains that this label would help set expectations about these kinds of experiences. Maybe “video game” could be used to describe video games that are indeed games in the traditional sense, and a new term could refer to the entire form. Still, as Steve Gaynor explains in his aforementioned talk, some principles of game design are still used to build these “non-games”, so does that justify the use of “game” in the name of the medium? With the arrival of game-changing technology like virtual reality and with the rising popularity of non-traditional video games, the future of game design is unknown yet full of potential. The only thing I am certain of is that we are in a very fascinating time for video games.